A Citrus Springs man died from injuries he suffered after his motorcycle was rear-ended earlier this month, according to troopers. The crash occurred at 8:33 p.m. on W. Country Club Boulevard at the intersection with N. Deltona Boulevard. The 78-year-old biker was stopped at a stop sign on West Country Club Boulevard when a 2003 Infiniti G35 hit the rear of his 2009 Suzuki motorcycle, according to the Florida Highway Patrol. The man was taken to Ocala Regional Medical Center, where he died from his injuries. According to troopers, charges are pending. A rear-end crash can be especially traumatic for motorcyclists, who lack the protections that driver and passengers have inside a car, SUV or a truck. In many motorcycle accidents, insurance companies will try to argue that the motorcycle rider was at least partially at fault. Sadly, motorcyclists are stereotyped as people who are careless and reckless, when that is certainly not accurate in all situations. A rear-end accident, in most cases, is entirely the fault of the driver who rear-ends the motorcycle. A driver who causes such an accident may be driving under the influence of drugs or alcohol, texting while driving, or distracted by something else. 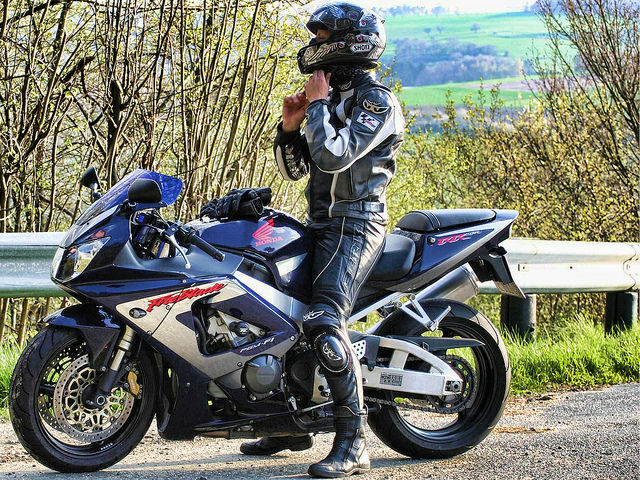 Even if the facts clearly display the biker was not at fault, the victim or the victim’s family may need a legal advocate who can negotiate a fair settlement or take the case to trial if need be. If you were injured, or a loved one was killed, in a rear-end motorcycle accident in Citrus County, please contact a Citrus County Motorcycle Accident Lawyer at Whittel & Melton. Call 352-726-0078 or contact us online. We care about you and your family and will do whatever it takes to obtain successful results on your behalf.